In 2017, Meadow Grove sold a total of 6 condos; 2 of which The Bouma Group was involved with. The amount of sales stayed consistent with 6 condos selling in 2016 as well. Frequently, the sale price exceeded the listing price, allowing home owners to have control. $320,000. 3622 Bent Trail Dr., Ann Arbor. 1576 sq. ft., + 750 in finished lower level, 3 bedrooms and 3.1 baths. $297,000. 3525 Meadow Grove Tr., Ann Arbor. 1087 sq. 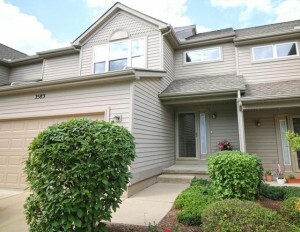 ft., + 700 in finished lower level, 3 bedrooms and 3.0 baths. $296,000. 3598 Bent Trail Dr., Ann Arbor. 1622 sq. ft., + 600 in finished lower level, 3 bedrooms and 3.1 baths. Currently, the average sale price of condos at Meadow Grove is $291,733, which is a bigger increase of 17% compared to the ASP in 2016. The average price per square foot for the 6 condos sold in 2017 is $199.00, which is a large increase of 20.5% in comparison to the A$/SF of $165.00 in the previous year. For more details and information about Meadow Grove, contact the condo specialists with The Bouma Group at (734)761-3060 or email info@bouma.com. View the previous market report for Meadow Grove here! Meadow Grove is a desired Ann Arbor complex, the spacious units offer full basements, attached garages, open concept living, and more! Many conveniences located only minutes away. There are currently no condos listed for sale and so far this year, 6 condos have sold. $265,000. 3601 Meadow Grove Tr., Ann Arbor. 1531 square feet with 2 bedrooms and 2.1 baths. Last year at Meadow Grove, 6 condos sold with an average sale price of $249,250 and an average price per square foot of $165.00. The 6 condos sold this year have an ASP of $291,733, up 17%, and an A$/SF of $199.00, up 20%. 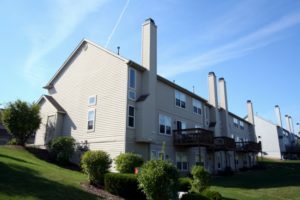 To learn more about condo values at Meadow Grove, contact the real estate specialists with The Bouma Group at (734)761-3060 or email info@bouma.com. View more Ann Arbor condominiums here! 1491 square feet of living space with 2 bedrooms and 2.1 baths. Soaring 2 story great room has a fireplace flanked by floor to ceiling windows and an adjoining dining area. Second level master bedroom suite features a walk-in closet and private bath. Daylight lower level and attached 2 car garage. To request a private showing for 3583 Bent Trail or learn more about this Meadow Grove condo, contact the real estate specialists with The Bouma Group today at 734-761-3060 or email info@bouma.com. 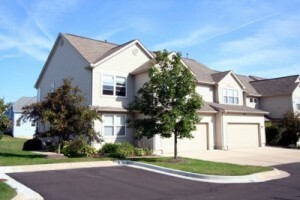 Meadow Grove Condos, Ann Arbor is a moderately sized complex located on the south side of town in Pittsfield Township. Comprised of mainly 2 story units, each condo features a basement and attached garage. 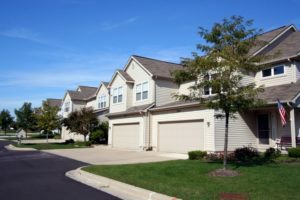 There are currently 0 condos listed for sale and in 2011, 7 condos sold and 1 was rented. $170,000. 1666 sq. ft. +600 in finished lower level, 3 bedrooms and 3.1 baths. $192,000. 1622 sq. ft. +600 in finished lower level, 3 bedrooms and 3.1 baths. $195,000. 1491 sq. ft. +650 in finished lower level, 3 bedrooms and 3.1 baths. $199,000. 1759 sq. ft. +600 in finished lower level, 3 bedrooms and 3.1 baths. $199,000. 1622 sq. ft. +600 in finished lower level, 3 bedrooms and 3.1 baths.